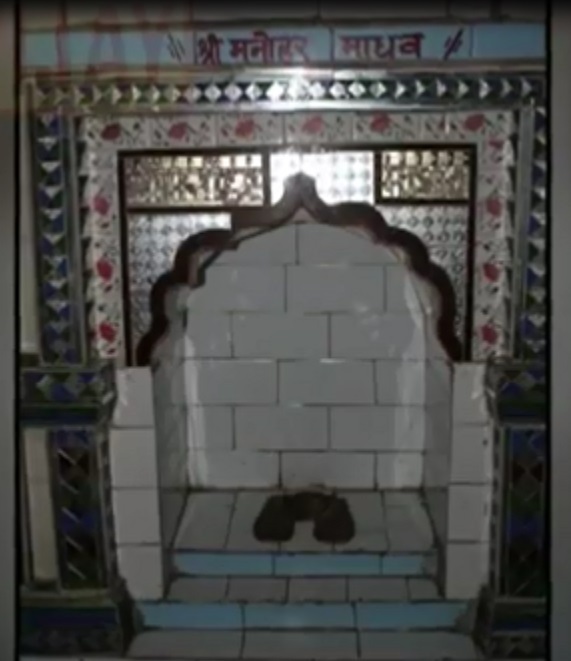 As per Mahabharata, "Dharma eva hato hanti / Dharmo rakshati rakshitah" (One who destroys Dharma is destroyed by Dharma / One who protects Dharma is protected by Dharma). For thousands of years, Hindus protected Dharma, and Dharma in turn protected them. Going on a pilgrimage journey (Yatra) is one type of Dharma. This helps to get rid of sins committed. We have various holy places (Punya Kshetram) spread across India for this purpose. 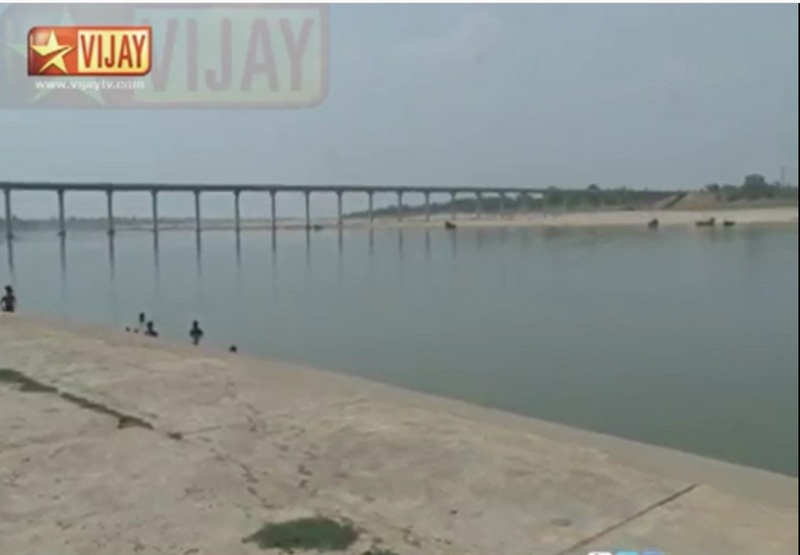 Devotees should visit these places and they need to perform Karmas like tarpanam or Shraddham and taking holy dip in holy waters. 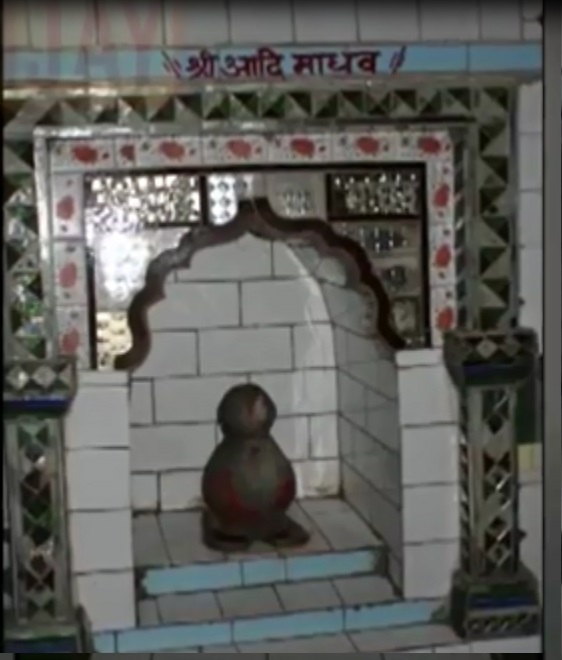 One can offer tarpanam to departed ancestors in these holy places on any day, no need to check with tithi. Offering sesame seeds (tiltarpan) to departed ancestors is of great significance. Many of us have heard about Pittru Sabam (anchestors curse) or Pitru Dosham (Ancestral sin) resulting in delayed marriage or health problems. We will not know which ancestor (pithru) for what reason has cursed us but the existence of Pittru Sabam might be visible in the horoscope when checked by an astrologer. So when going on a yatra one can do any of the common remedy below. There are common remedies and specific remedies too. It is difficult to know the specific remedies, even if we come to know it, it is difficult to understand and perform them. 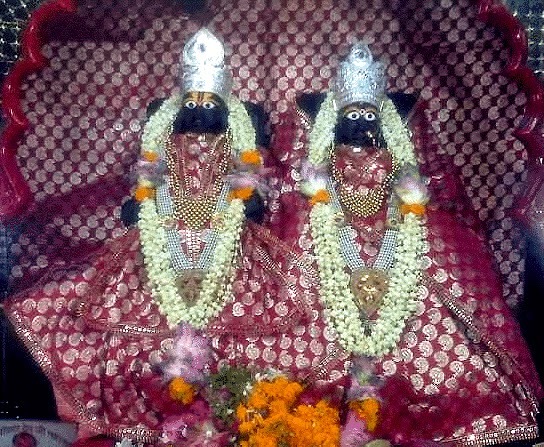 So common remedies are like Tirtha Yatra (Pilgrimage to holy places is considered to be ritual to cleanse the pilgrims inner selves, wash out their evil tendencies and open up before them the path of righteous living), Performing pinda pradhanam, Nama Japam or Nama Sankeertanam (chanting - Continuously/repeatedly telling the Bhagvan's name), donating alms, Fasting etc. So when we go on Tirtha Yatra, if we follow any of the above common remedy, one is doing atonement for unknown Pittru Sabam. Seek the lotus of Lord and try to do the common remedies, since specific ones are difficult to do. Allahabad is an holy place. The Patalpuri temple is also here. 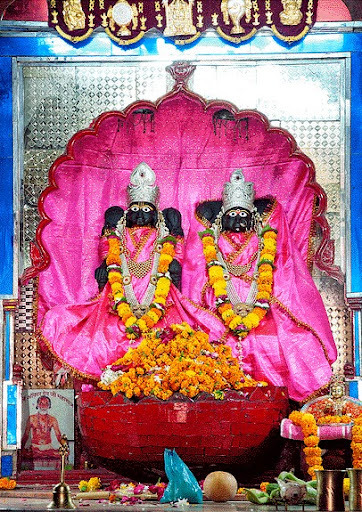 Patalpuri Temple is located inside the Allahabad fort and is an underground temple, believed to have been visited by Lord Rama. 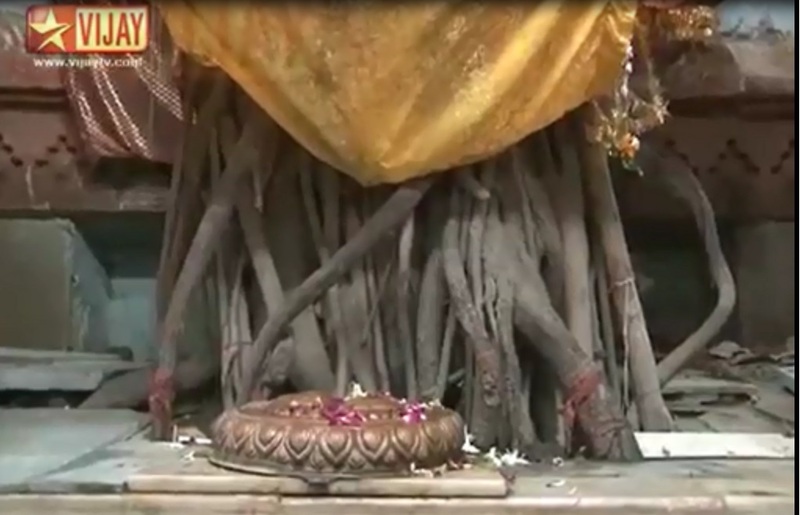 The famous Akshayvat or immortal tree is the part of the temple. Legends say that, this place exists from four great epochs or 'yugas' without facing any destruction. 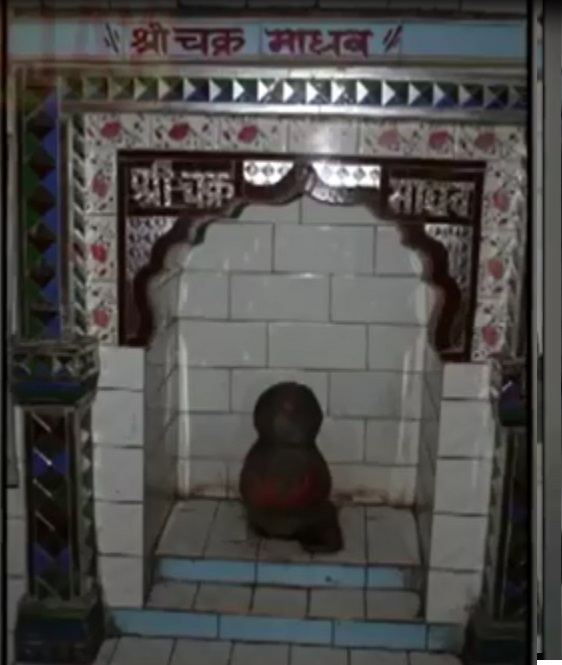 Lord Rama thought of his father in this place. 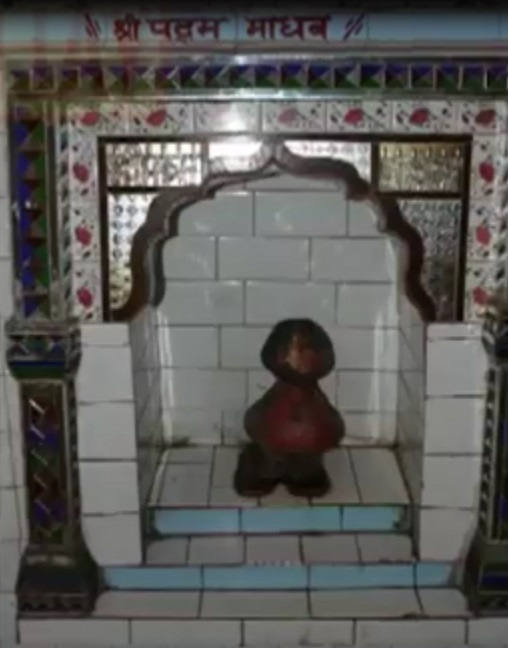 The local people say that Lord Rama had come here and offered tarpanam to his departed father. When did Lord Rama do this tarpanam? Because as per our Yatra Lord Rama is yet to receive the news of his father's death. Only after Lord Rama reaches Chitrakoot, Bharata has to come and break the news about Dasharatha's death. So Lord Rama would not have offered the Tarpanam here on his way to Chitrakoot. Probably, he might have done on his way back from Sri Lanka. After Rama-Ravana war, along with Sita when Rama returned back to Ayodhya, Rama had visited Allahabad. So Ram had come to Allahabad twice. 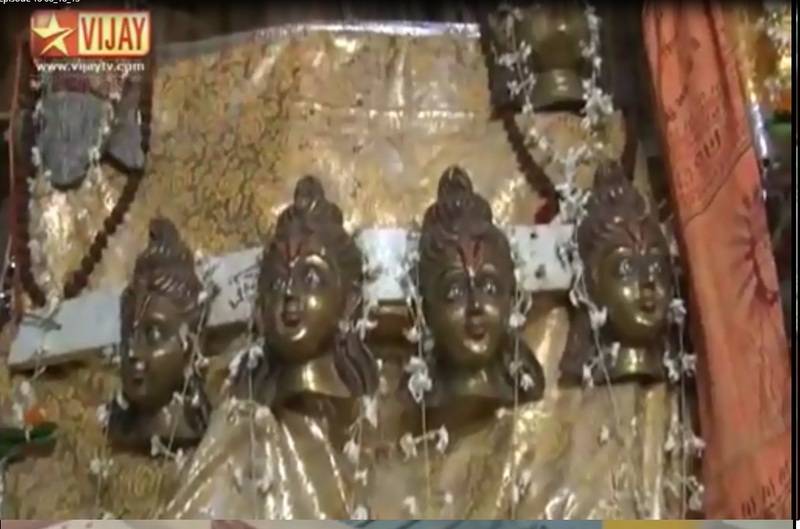 Ram visits this same Bharadwaj ashram which comes twice in Sri Rama Anu yatra. So when Rama returned, he is aware of his father's death and he must have done the Pinda Pradhanam on his way to Ayodhya. The place where Ram did the Pinda dhanam is called as Akshayavatam. 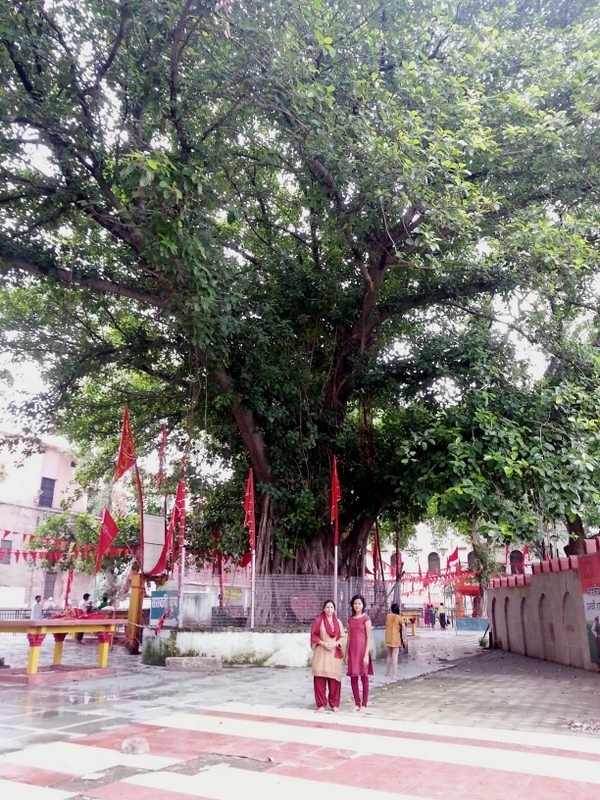 Here is Pathal Puri temple and the tree called Akshaya vatam. Here is the tree and roots of that tree which is under the ground. We can see the roots of that tree under the ground and the tree above the ground. The entire temple is under the ground. All these temple were above the ground once upon a time and later some kings moved it under the ground. It is a wonder to watch. Everyone who visits need to spend time to see what is in those places. We say Prayag - Pra Yagam. Yagam here means Deva puja, here referring to Pitru puja. This place is to do the Pitru puja. 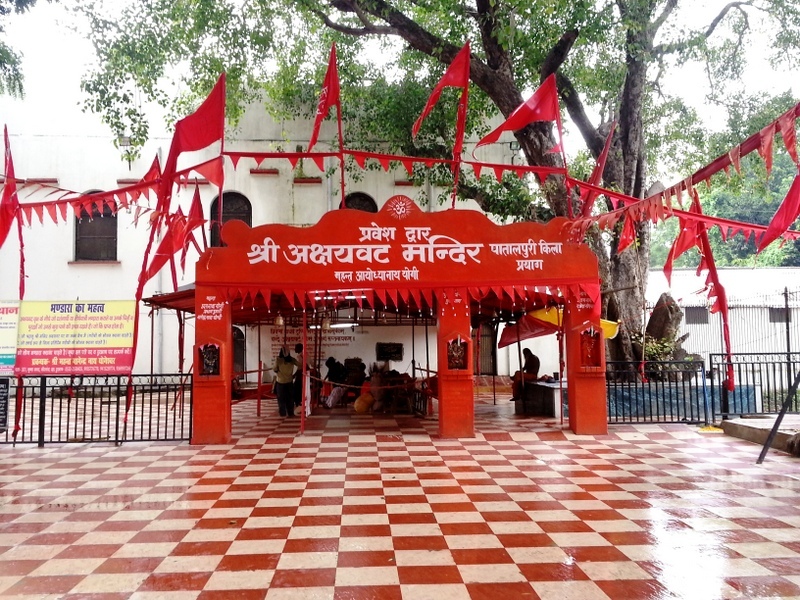 Referred as Akshayavatam since this is near the Dasa(10) Ashwamedha Ghat - place where 10 Ashwamedha Yagam was done. Such a great yagna bhoomi. If one does the pinda pradhanam in this akshayavatam, it is equivalent to doing 10 ashwamedha yagam and it clears our bad deeds. 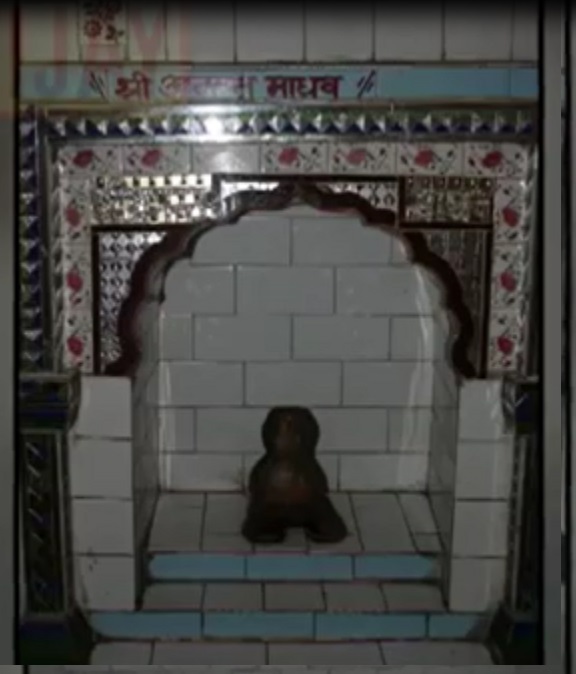 Meaning: "Do the pinda pradhanam at Akshayavatam, Gaya (river palguni), Varanasi to get rid of all the debts towards deva's, pitru's, manushya's, bhootha's.."
Meaning: Prayag raj which is like a lion, has its unique importance, and can eliminate the biggest heaps of sins and hence no one is competent to describe its glory in any manner. Sri Rama, who is the supreme of pleasures, also felt over whelmed by visiting Prayag the king of pilgrimages. Sage Bharadwaj invited Rama alond with Sita and Lakshmana to stay with him for few days. But Rama shook his head and said, "We wish to go to a far away and lonely place so that we may live in peace, undisturbed from visitors of Ayodhya." "Go then to Chitrakoot," said the sage, "it is a beautiful place full of flowers, fruits and birds. Many hermits also live there. There you will find the peace and quiet that you seek." Bidding him farewell, they left for Chitrakoot. Soon they arrived at the banks of the swift flowing Yamuna. They rested for the night on the banks of the river. Next morning they crossed the river and then reached Chitrakoot. It was such as beautiful place ! Rama was delighted to see it and said, "We shall stay here." They, who had ever dwelt in palaces all their lives, had now to live in a hut, but they were cheerful and happy a heart to think that they had kept the word of their father faithfully. We all had darshan of this river Yamuna. 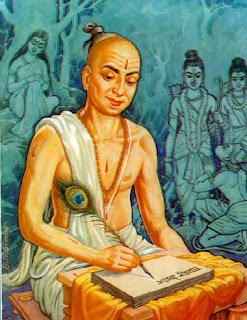 Tulsidas wrote 12 books, the most famous being the Hindi Ramayan — “The Ramcharitmanasa” that is read and worshipped with great reverence in every Hindu home in Northern India. An inspiring book, it contains sweet couplets in beautiful rhyme in praise of Lord Rama. 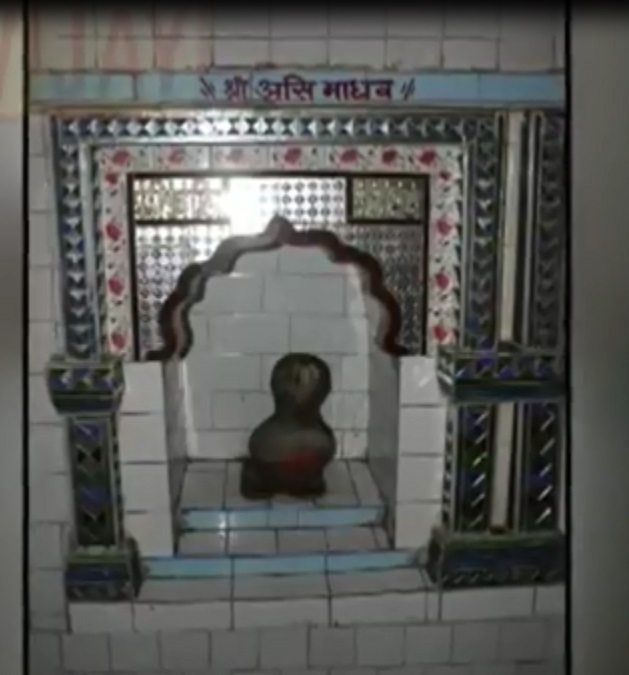 Before going to Chitrakoot, one can find the beautiful ashram of Thulasidas, where Thulasidasar's hand written plam leaf (Olai Chuvadi) of his Ramayanam can be found.